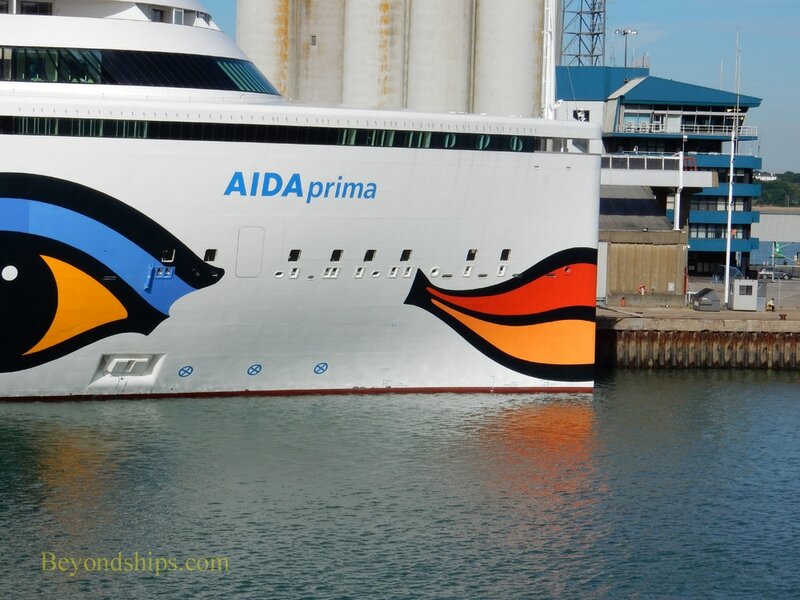 AIDAprima is a large cruise ship geared toward the German-speaking market. 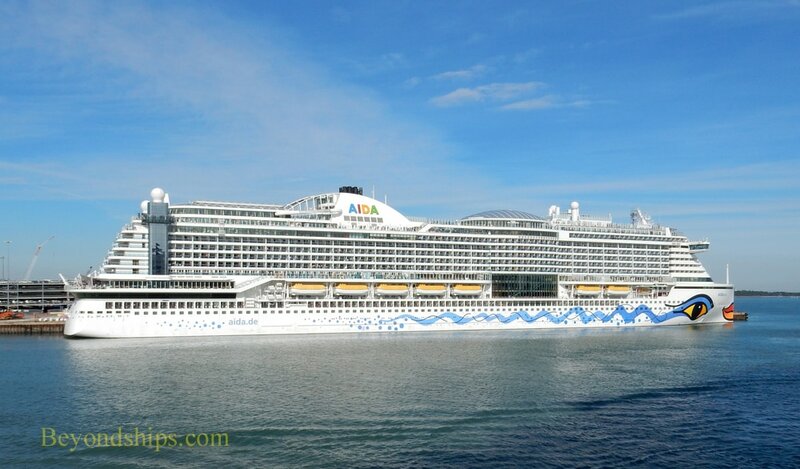 Her sister ship is AIDAperla. 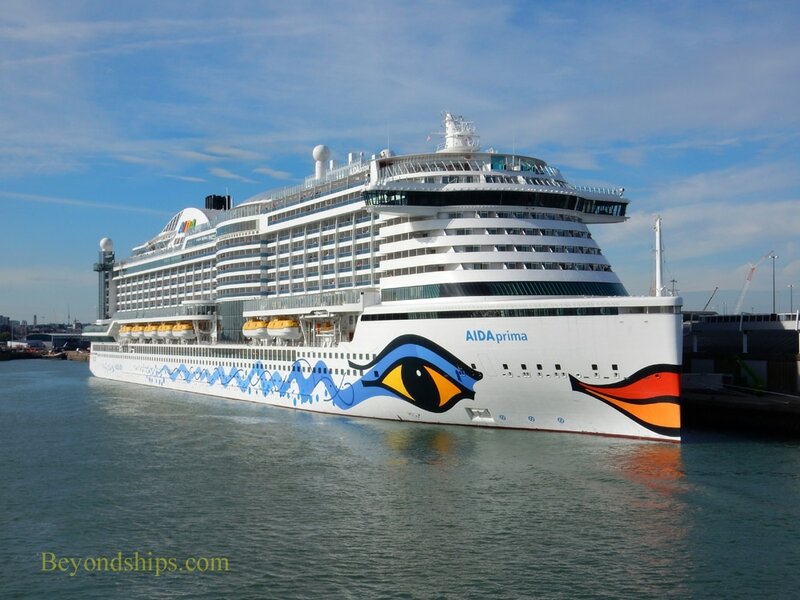 The ship was built in Japan by Mitsubishi Heavy Industries. Plans called for the ship to enter service in 2015 but construction problems delayed her entry into service. 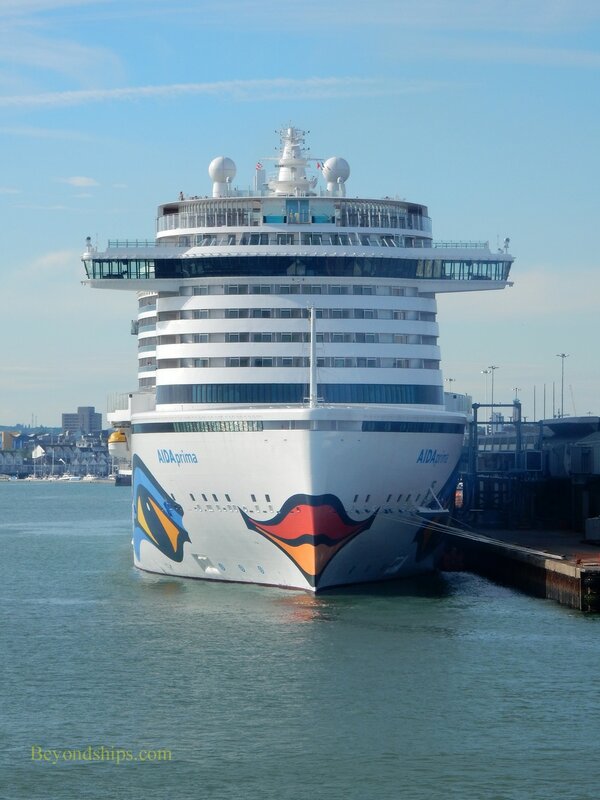 She was finally christened on 7 May 2016 at ceremonies marking the 827th anniversary of the port of Hamburg. 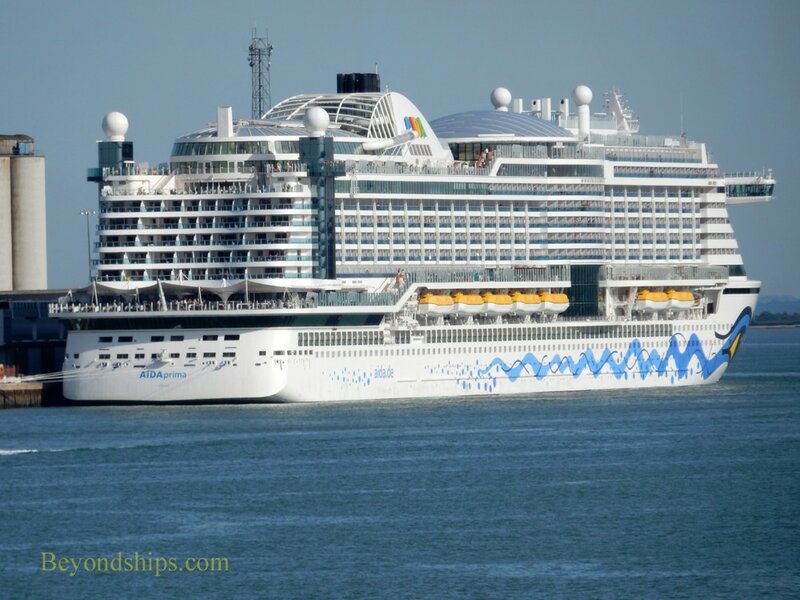 AIDAprima is a technologically advanced ship. Not only does she have azipod propulsion but she is equipped with an air lubrication system that injects air bubbles into the water beneath the hull. This reduces friction as the ship moves through the water, which leads to greater fuel efficiency. 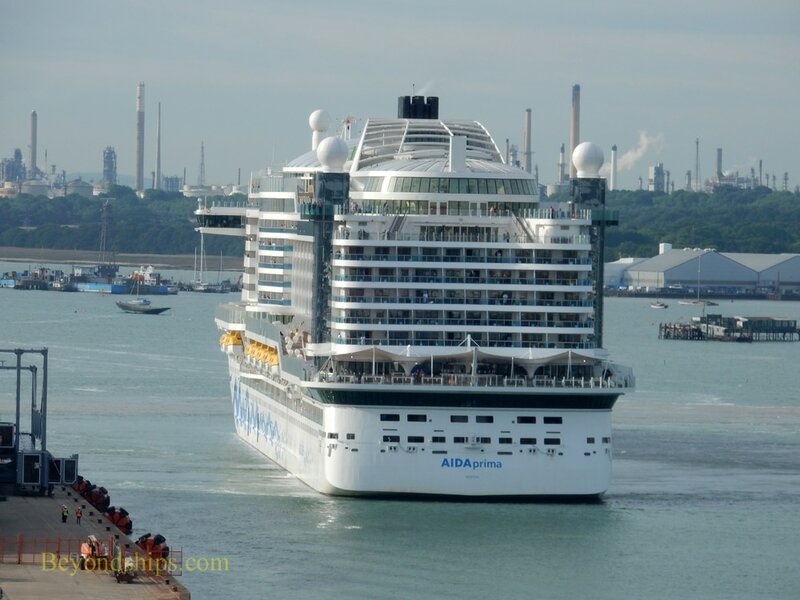 AIDAprima is also equipped so as to be able to use liquidfied natural gas as well as diesel fuel. 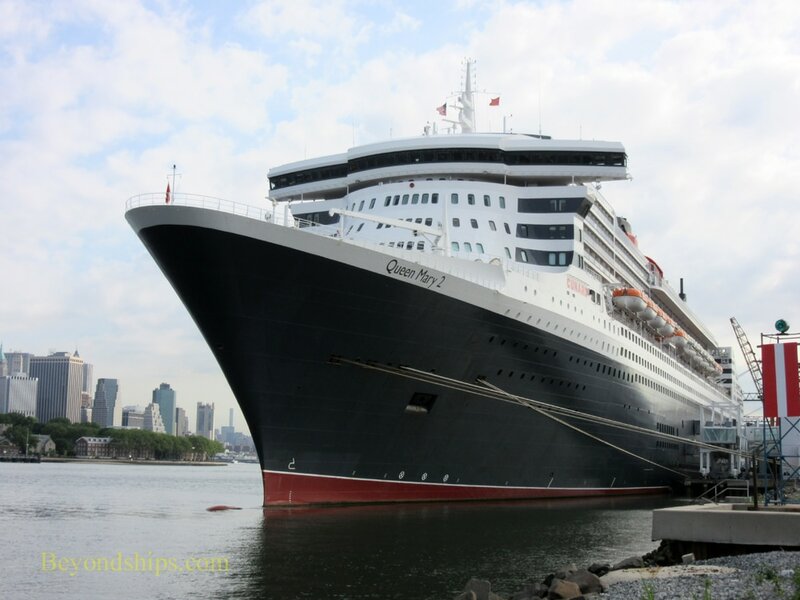 ​Her straight bow is reminiscent of ships built in the early 20th century. However, the design should increase speed and improve stability. 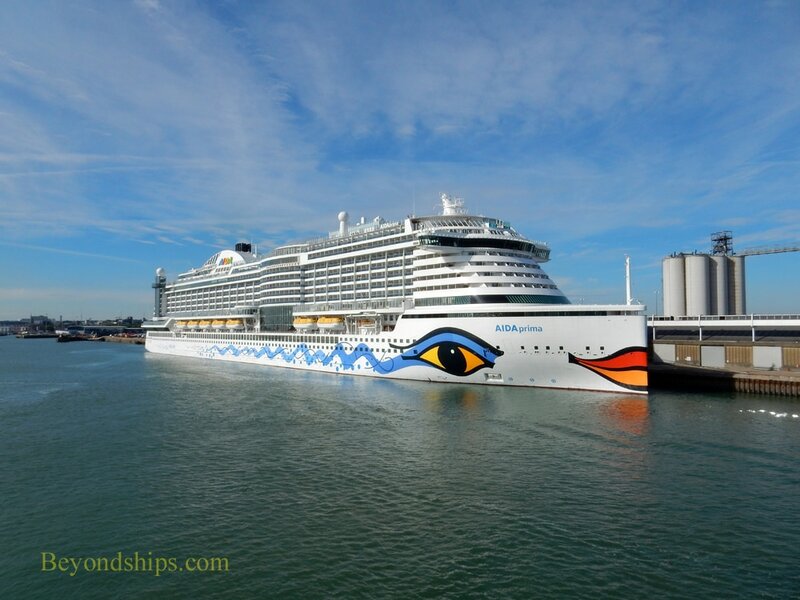 Although AIDAprima marked a radical increase in the size of an AIDA ship, she carries forward the cruising philosophy of her predecessors. The style is casual, youthful and family-friendly. She does have quite a few features, however, that her predecessors do not have. Chief among these is the Beach Club, which is two decks high and is covered by a transparent membrane. Guests can relax in a tropical atmosphere by day and watch video and laser shows at night. AIDAprima also has an outdoor lanai (promenade) with al fresco eateries. A glass skywalk lets guests stroll 45 meters above the sea. AIDAprima also has some additional dining areas. These include a new French brasserie-inspired venue called French Kiss and a restaurant featuring Venetian cuisine called Casa Nova. There are 14 cafes and bars including the Bauhaus microbrewery. LENGTH: 300 meters, 984 ft. DRAFT: 8.25 meters, 27.1 ft.